When you plan an event, you want to make sure everything goes off without a hitch. But you don’t want to be overwhelmed by endless to-do lists and spreadsheets. 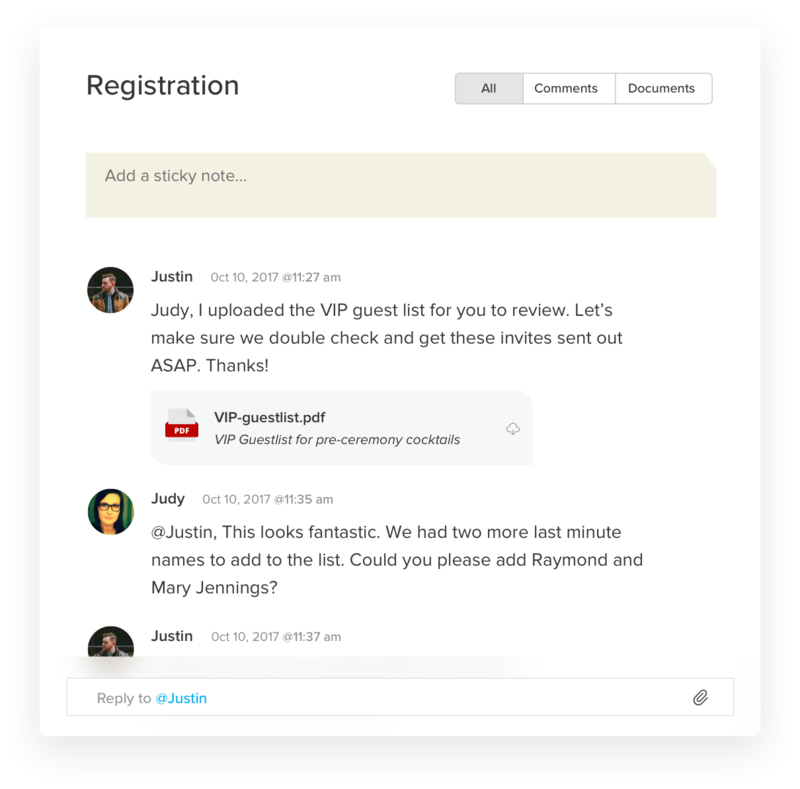 TeamGantt helps you plan and manage events with easy-to-use event project management software. From creating tasks to forecasting timelines, you can track everything about your event or conference in one place. 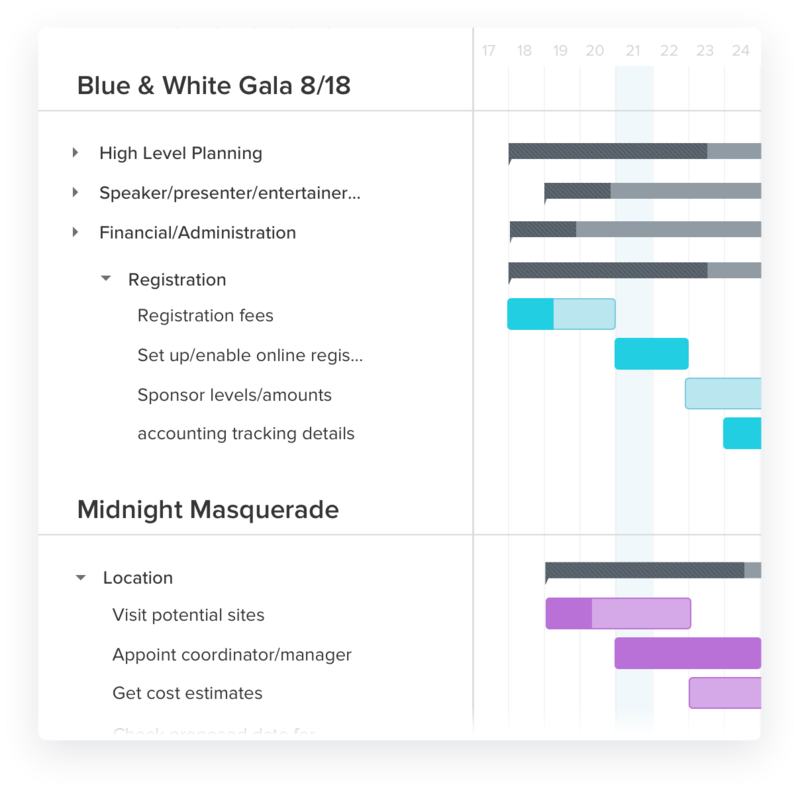 Plan your events visually with TeamGantt. 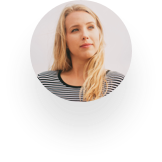 Handy drag and drop scheduling, dependencies between tasks, and project milestones make it easy for you to adjust and keep track of your event planning project plan and timeline without dropping the ball. 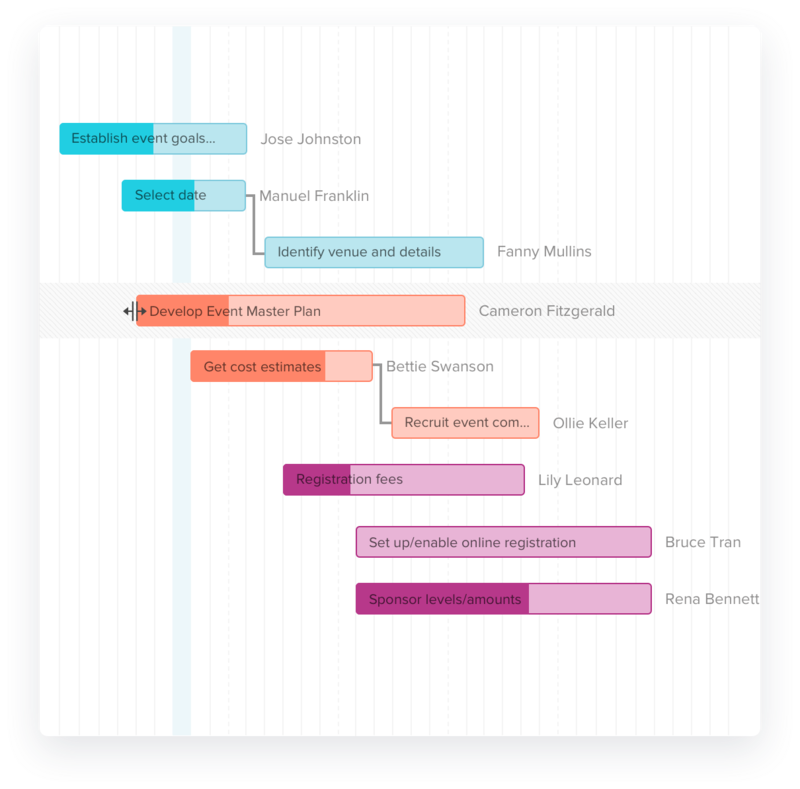 TeamGantt keeps you organized with multiple event management gantt charts in one view. By seeing tasks that overlap and team availability across events, you can delegate tasks and manage resources effectively. 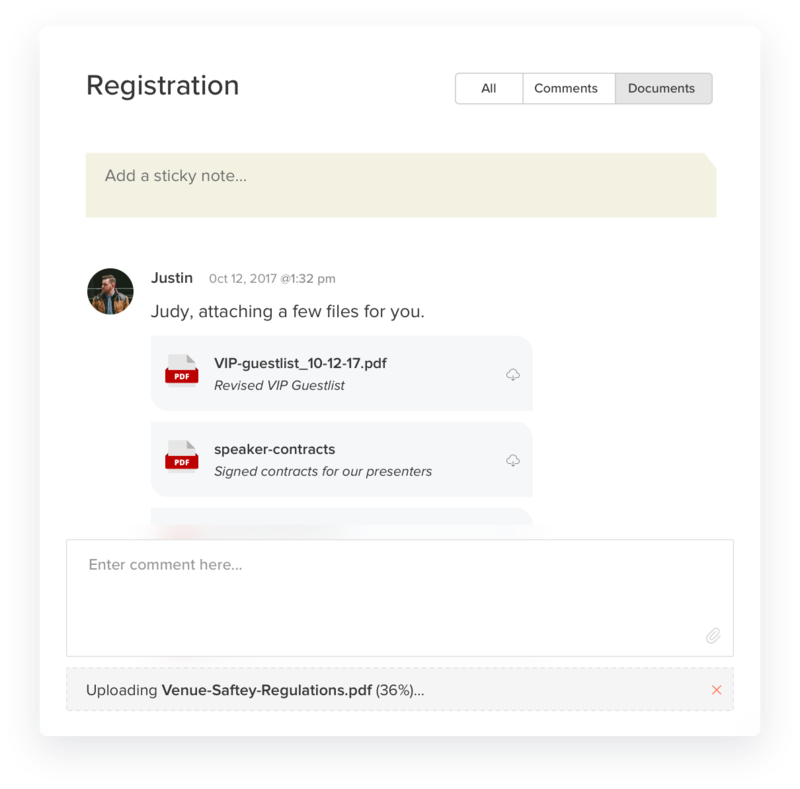 From vendor contracts to speaking proposals, you can upload and store all your events project management files in one place. You can even attach documents—from PDFs to Google Doc links—to specific tasks within your event planning project. No more wasted time sorting through files on your desktop. 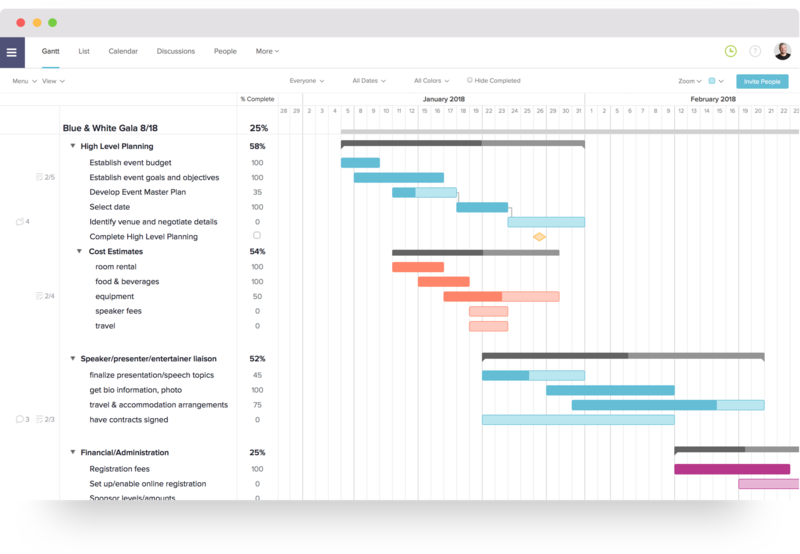 TeamGantt updates event planning project teams in real-time. Whether it’s commenting on tasks or sharing files, your team stays connected with built-in collaboration tools. Use the export to PDF option to share a snapshot of your timeline in meetings or with vendors. 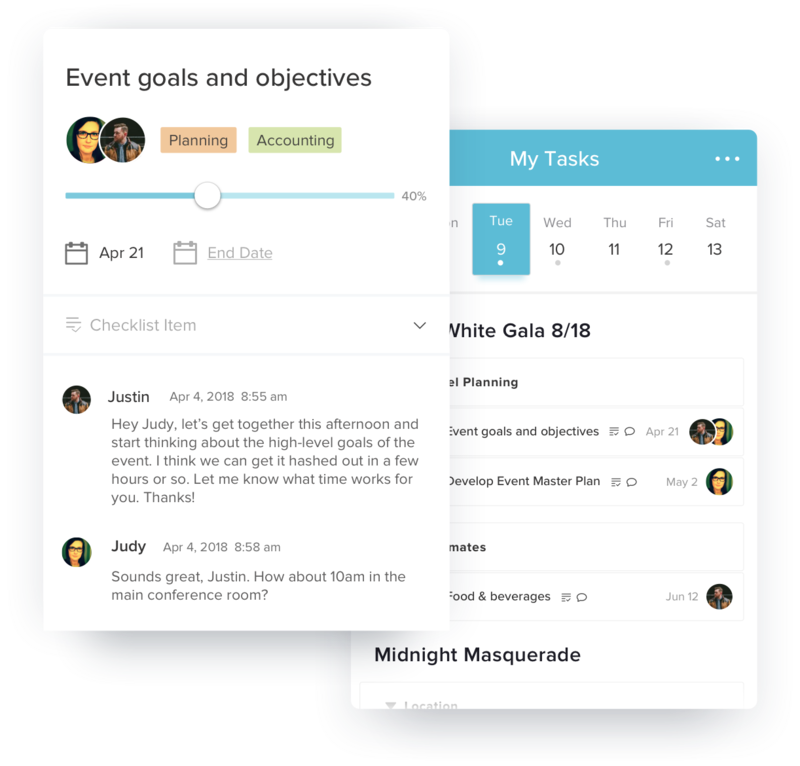 With TeamGantt’s mobile app, you can access your event plan and update your team from anywhere. It makes it easy for teams on the go to communicate and collaborate, even when they’re on the road. 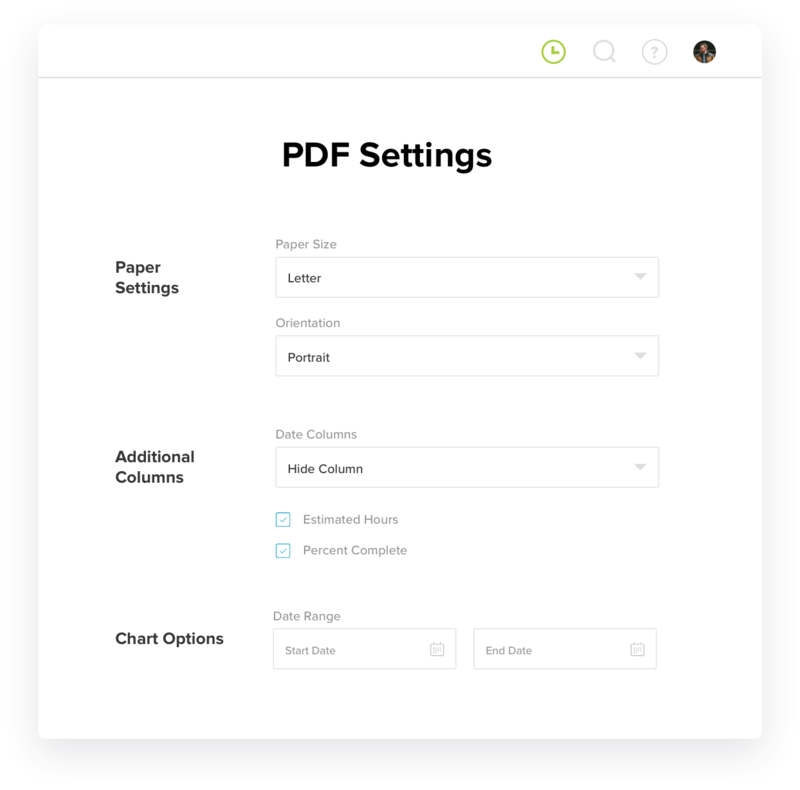 Use the export to PDF option to share a snapshot of your event planning timeline in meetings or with vendors. You can tailor the event management gantt chart display, document layout, and font settings. And you can also add your company logo to your PDF. Start creating your free event project management plan today!